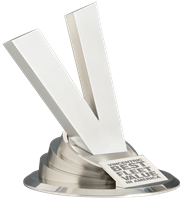 LOUISVILLE, KENTUCKY – APRIL 15, 2019 – The 14th annual Vincentric Best Fleet Value in America™ Awards were announced today with Nissan and Infiniti combining to win 11 awards while Kia also showed a strong fleet presence with an impressive seven award winning vehicles. Once per year Vincentric performs a cost of ownership analysis based upon typical use in commercial fleet to determine the Vincentric Best Fleet Value in America™ Awards. Vincentric measures cost-of-ownership using eight different cost factors: depreciation, fees & taxes, financing, fuel, insurance, maintenance, opportunity cost, and repairs. Each vehicle was evaluated in all 50 states plus DC using 20 different ownership/mileage scenarios. Winners were identified by determining which vehicles had the lowest fleet lifecycle cost in the most scenarios for its segment. A full list of winners is shown below. Defining Value – Learn more about how Vincentric defines value for the fleet market.